Ford’s autonomous driving subsidiary Argo AI has received the green light to begin testing its self-driving prototype vehicles on public roads in California. Argo AI received an autonomous vehicle testing permit from the California Department of Motor Vehicles this week, allowing it to freely test its under-development prototype cars on public roads. This is the 62nd self-driving vehicle test permit the state of California has given out. 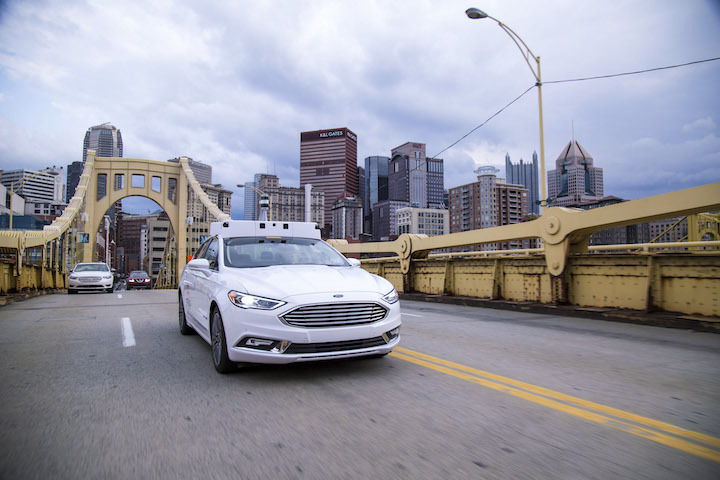 Argo AI also tests in its hometown of Pittsburgh, along with Ford’s hometown of Dearborn, Michigan. It has also been experimenting with the cars in congested traffic in Miami and Washington, D.C.
Ford dumped $1 billion into Argo AI in 2017. This was just a few short months after it was started by Bryan Salesky, who formerly worked on Google’s self-driving car project, along with former Uber engineering lead Pete Rander. The automaker is banking on the company leading it into the autonomous future, starting with an autonomous taxi service that will allegedly launch in 2021. Ford is lagging behind Google offshoot Waymo with regard to autonomous vehicle testing. Waymo had around 600 Chrysler Pacifica Hybrid test vans on public roads as of last year and has plans to expand that number to over 62,000 in coming years. Like Ford, Waymo also hopes to launch an Uber-like ride hailing service using autonomous vehicles.